In today’s world, any business, including a machine quilting business, needs a web presence – and starting a blog will do this for you. Starting a blog is relatively easy – much easier than starting a website – and, in my opinion, easy to maintain and easy to post information and photos. I have looked at this book and it gives you good information to start your blogging journey. It is NOT a “how to” manual but more of a general overview of the process. The organization that is giving this information to you is a web hosting / blog starting company, but they are not “in your face” about this. I haven’t used their services so I’m not endorsing them, but from what I have seen, I am impressed with what I am seeing. I would recommend downloading this FREE e-book, looking at the information, learning from it, and then decide if you want to join the blogging world. Here is a tip for you – search engines don’t search social media. If you only post/advertise on FaceBook, Google, Bing, etc., will not find you or your services. If you have a blog – even just a free blog – tag your posts with quilt names, quilting design names, pattern and quilting designer names, and anything that will identify what you are blogging about. Then when someone does an online search for that particular tag, your blog post will show up. Example: Do a Google search using the phrase “cable wreath quilt design.” Click on images and scroll over the photos. Look at the bottom of each photo and most of the photos will have my personal blog address – cindyroth1.wordpress.com – the Longarm University website address – www.longarmuniversity.com – or my machine quilting website – www.cindy-roth.com on them. You can click on the photos, then click on the “Visit Page” button. My photos are showing up in this search because of the way I have “tagged” them. 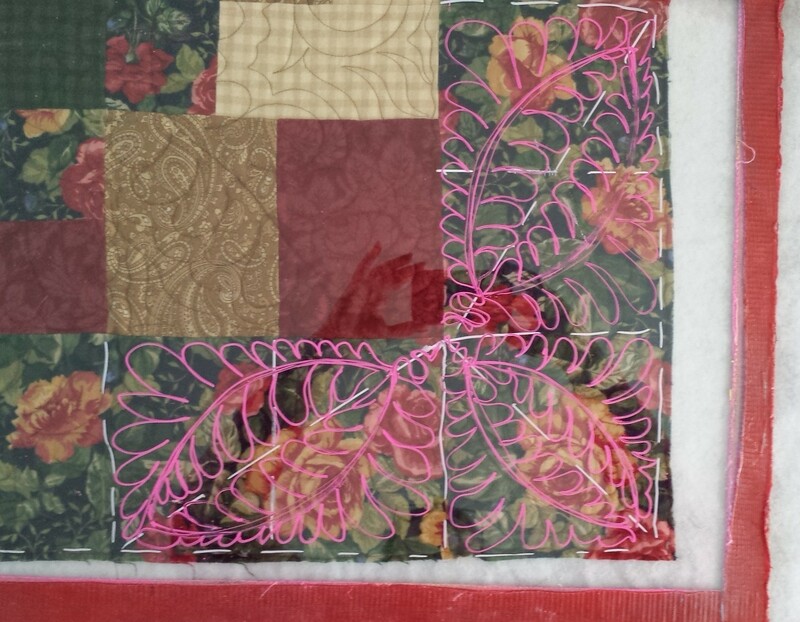 When you have your blog up and running, let me know, I like to follow other machine quilting business blogs.